As Greater Manchester tackles dangerous NO2 levels, how will your business be affected? It’s no secret that air pollution is damaging our health, and with particularly high levels of pollutants across Greater Manchester, plans are being put into place to reduce this and improve air quality all over the region. In Greater Manchester alone, it has been estimated that polluted air contributes to around 1,200 deaths a year. It has also been reported that road transport contributes 80% of NO2 emissions, with diesel vehicles being the main offenders. With this in mind, Greater Manchester have developed a Clean Air Plan to reduce high levels of NO2 on the roads in the coming years, along with many other major UK cities. Greater Manchester’s Lead Director of Public Health for air quality, Eleanor Roaf, said: “Air pollution is making us sick. It contributes to major health problems including breathing illnesses, heart disease, stroke and some cancers. And it affects the most vulnerable people in our society most badly – the elderly, sick, children and people living in the most deprived areas. Earlier this year, Greater Manchester unveiled plans for a Clean Air Zone (CAZ) to aid their attempts of cutting high levels of pollutants in the city centre and becoming one of the healthiest, cleanest and greenest city-regions in Europe. Manchester is the latest UK city to announce their clean air plans, following Leeds, Birmingham, Nottingham, Southampton and Derby where the zones are being made compulsory. The scheme will cover all 10 of Greater Manchester’s local authorities, but will not affect private vehicles registered in Greater Manchester as according to Mayor of Greater Manchester, Andy Burhham, 80% are already compliant. As a fleet owner, you have every right to be concerned about how Manchester’s air quality plans can affect your business. Unless you are operating Diesel Euro 6 (2016 onwards) vans as above, then there’s a good chance that your fleet isn’t compliant in line with the new emissions regulations. The good news is, the scheme isn’t being implemented overnight so you do have time to prepare your fleet. Non-compliant vans won’t be charged any penalties until 2023, whereas other vehicles such as HGV’s, buses and taxis will be involved in the scheme as early as 2021. The main aim of the scheme is to encourage fleet owners to upgrade their vehicles to more environmentally friendly models which are fully compliant with the emissions standards. It is said that by the time the charges hit van owners, in 2023, there will be a wider variety of vans available to make the switch more accessible for businesses. Upgrading your vehicles is essentially the only way to avoid the penalties, and if chosen to ignore you will be succeptible to a daily charge of £7.50. That may not sound like a substantial amount, but if you consider the number of vehicles in your fleet and the daily usage of each in the region, it can total up to a hefty amount. Either way, the implementation of the Clean Air Zone will have a financial impact on businesses, as switching out your old fleet for an entire new one isn’t going to be an inexpensive purchase. However, we are seeing more and more businesses taking an interest in reducing their environmental impact and addressing air quality in their fleet, driven by the need to meet the updated emissions standards. 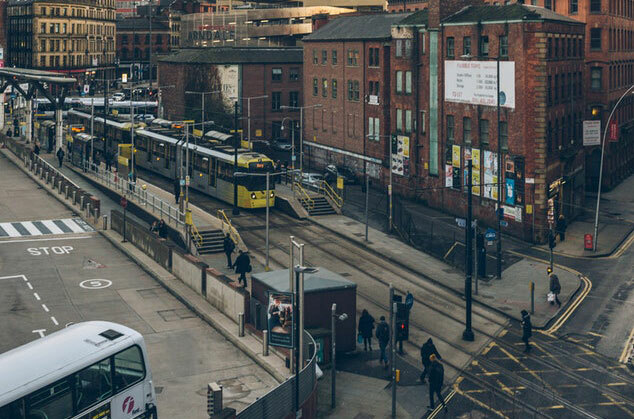 Manchester’s air quality plans seem to have given local businesses the encouragement they need to go greener, and not only does this have huge benefits for the environment, but also for their business image. Presenting an environmentally image is important for customers, and with a well planned eco-friendly operational strategy, it gives businesses a great selling point and leverage over their competitors. With that being said, it’s not always possible for small businesses to transition their fleet into a more eco-friendly operation, as it does require a bit of budget behind it. With large, sudden expenses being the main issue holding fleet operators back from making the change, we’ve seen a lot more businesses considering their rental and leasing options. Vehicle rental and leasing has proved to be a more cost-effective solution for businesses who rely on high performance vans for their day-to-day operations but aren’t necessarily in a position to financially commit to the purchase and upkeep of new, high-spec vehicles. In light of Manchester’s new air quality plans, hiring new, emission-friendly vehicles has become the most budget-friendly option for businesses who have realised that this is the easiest way to comply with the new emission standards, reap the benefits from a more eco-friendly image and have peace of mind that their new vehicles are in top working condition without having to stretch their finances too far. Renting and leasing vans and vehicles takes the hassle out of maintaing business-owned fleet which can be costly and time-consuming. With the flexible rental options out there, businesses have the freedom to choose which vehicles are right for the job, when and how long they wish to take the contract out for. This takes the worry out of feeling like you need to make expensive vehicle purchasing decisions for your business in line with the new emissions standards. 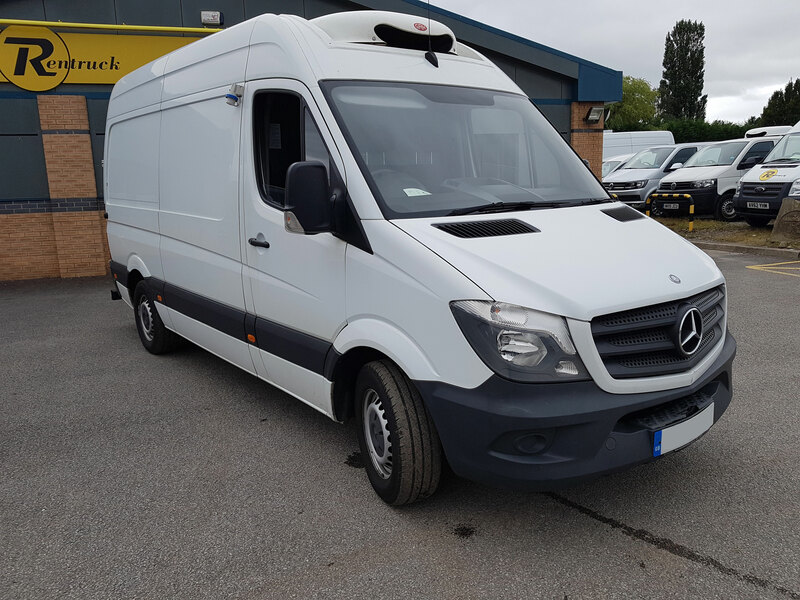 Here at Cool Running Rental, we specialise in the hire and rental of temperature controlled vans, and our sister company Rentruck offers flexible solutions in short-term hire and leasing of cars and vans. We are based in Rochdale, Greater Manchester and have been providing vehicle rental services for over 90 years. All of our vehicles are late model, fully serviced and valeted before rental so you can be sure that they are in top working condition. If you are concerned about how Manchester’s air quality plans might affect your business fleet, get in touch with us and we’ll see how we can help you out.